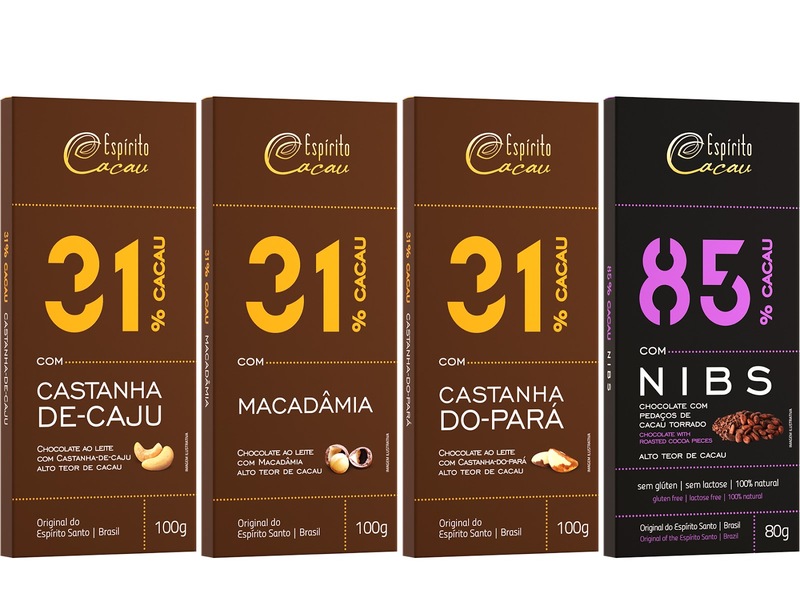 Espírito Cacau increases its portfolio of chocolates with high coca content. 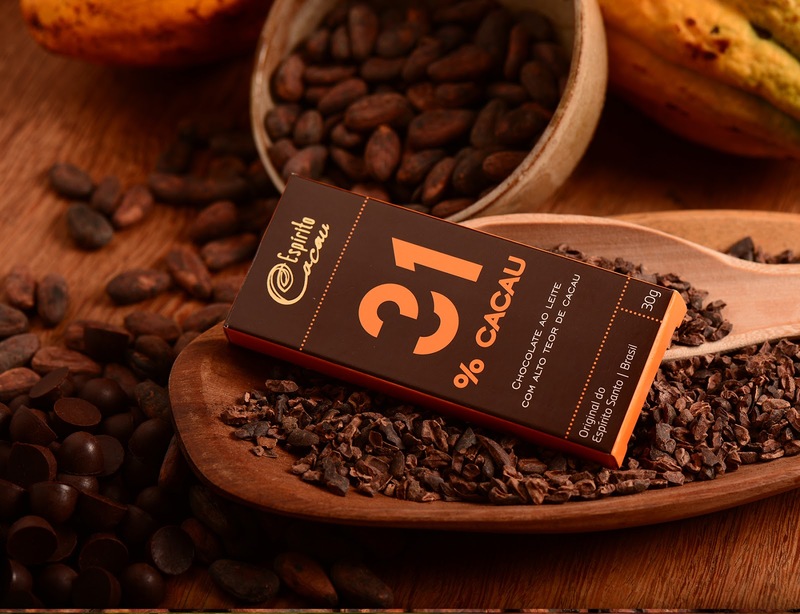 The first releases - the 100g and 30g bars in the 31%, 46% and 70% cocoa versions - were a success. 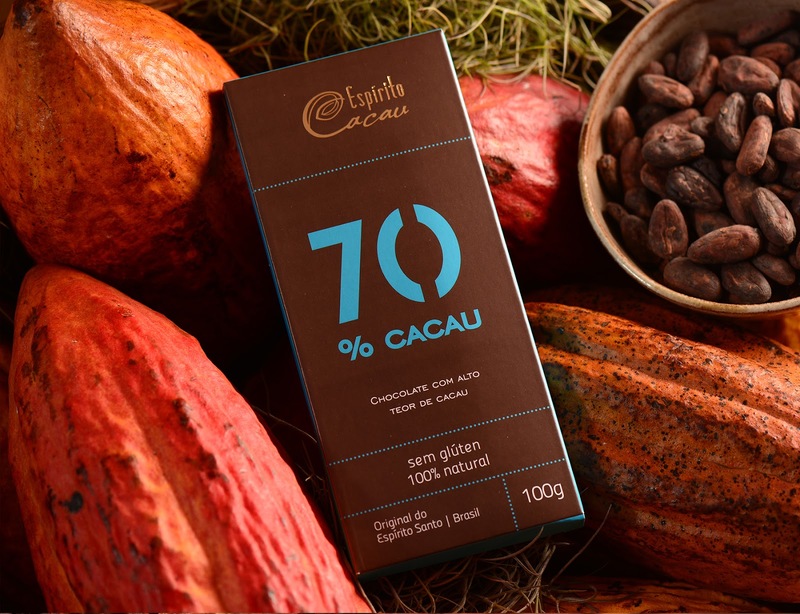 From there they suggest the 5g mini portions, also in versions 31%, 46% and 70% cocoa. 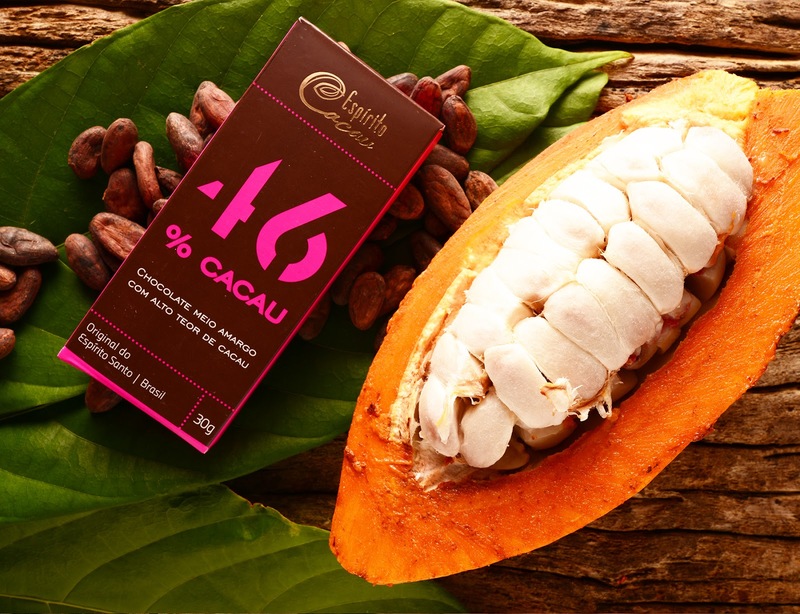 They can be purchased individually or in 150g displays. There are still chocolates with various nuts and cocoa Nibs. 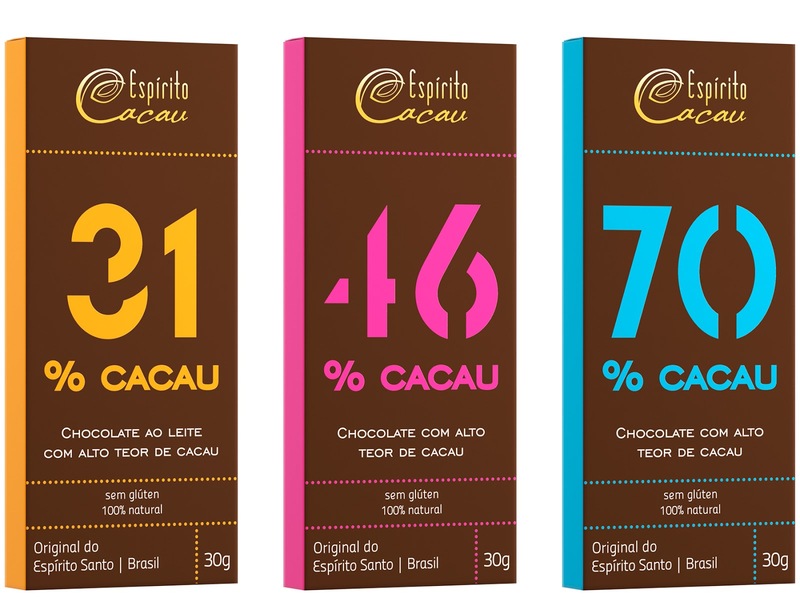 The difference of Espírito Cacau’s chocolate begins in the field. Planting on farms has been improved for 3 generations, as well as harvesting, milling, roasting, fermentation and drying. 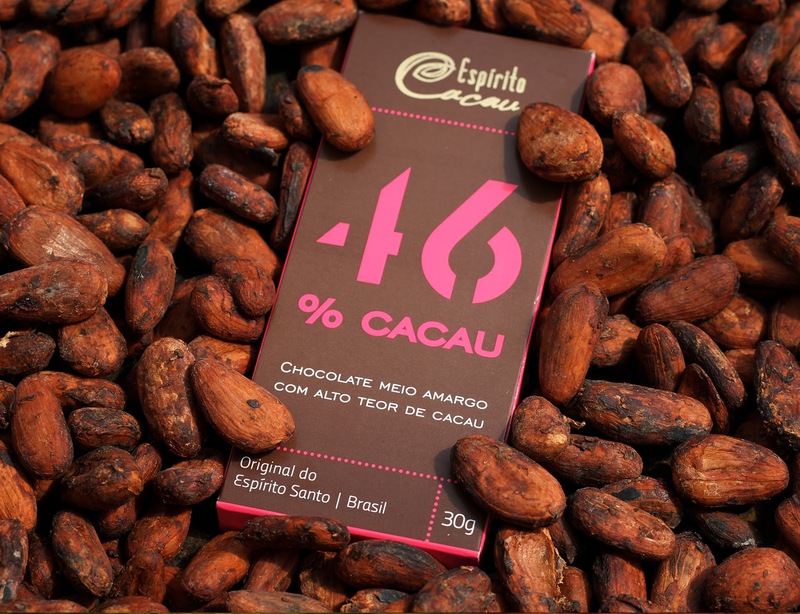 The result is premium almonds that generate a home-made chocolate with the flavor and aroma of their native land, Espírito Santo, Brazil. 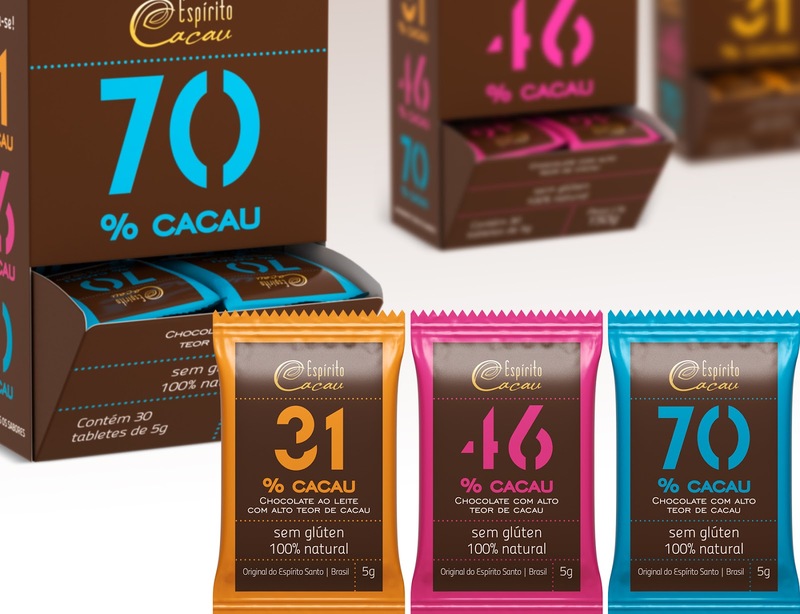 Espírito Cacau’s chocolates, grown in the middle of the Atlantic Forest, have the UTZ certification seal. 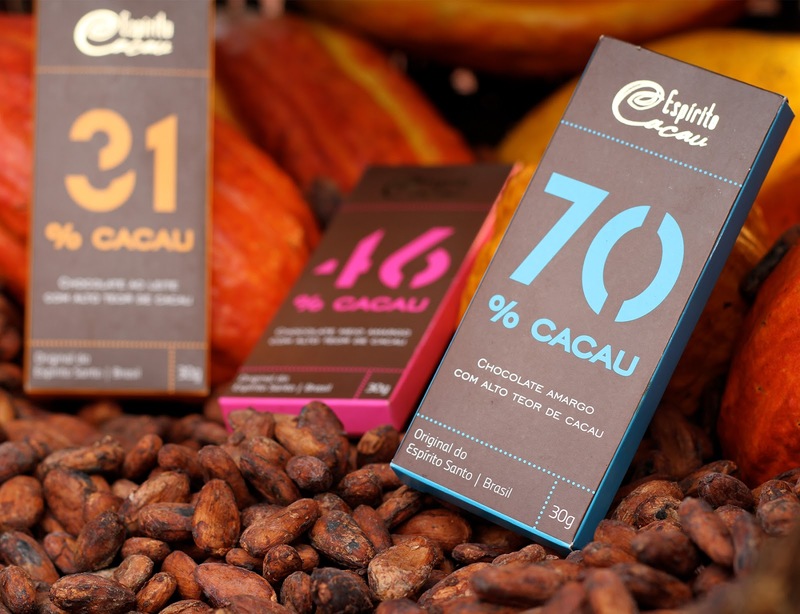 The graphic design of the packaging reflects the refinement of the products: it is simple, direct and contemporary. 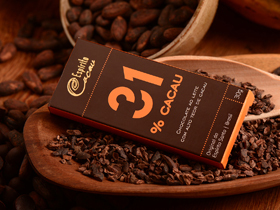 The large numbers on the front panel communicate the main value of the product: the large amount of cocoa mass. 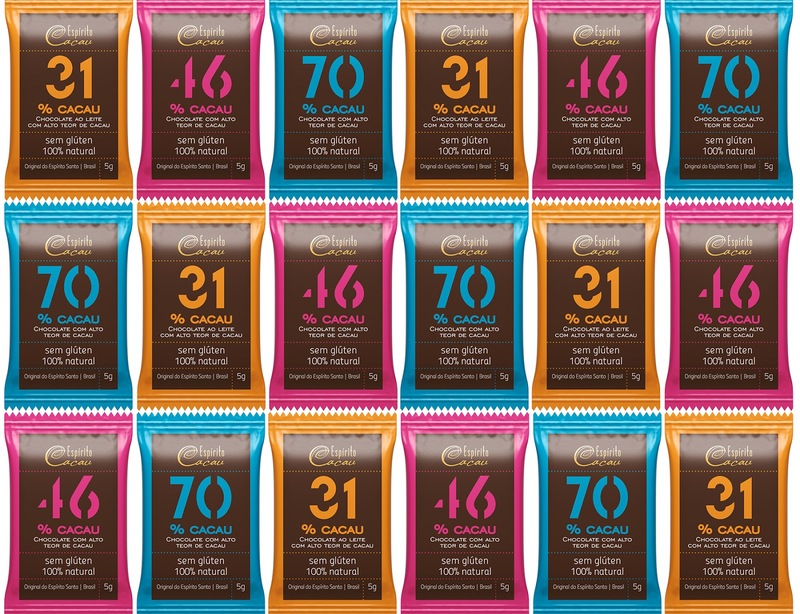 The adopted chromatic standard clearly divides the 3 product versions: 31%, 46% and 70%, while dark brown communicates the strong presence of cocoa. The visual identity of the packaging is so strong that it sets a strong branding to all promotional and institutional materials. Today, even the store looks like the packaging design! Hey! can you share the die-cut for this amazing packaging? Thankyou!